This week has been alternately exhilarating and frustrating. It’s been great to have my website done, and after its launch only a few minor things came to light (likely unnoticed by anyone but me) that were easy to fix. I wanted to get back to my fiction writing in a big way this weekend, but leftovers from the recent expansion of my social media presence recently came back to haunt me. Delays took a few forms. One was simple exhaustion and sleep deficit needing the remedy of rest. Another was that some of the new media channels and projects still required nursing and cleanup work to get started. I pretty much pulled that whole thing together last week, and learned a lot about how to host it on the fly. But I don’t think that next week will be nearly as complicated now that I’ve got a schedule and plan in place. And as an additional complication, I wrote a 1,200 word essay/reply to a discussion on author websites on the r/fantasywriters forum on Reddit that I help to moderate. Obviously, my recent activities have given me a lot to share on the subject. It was also posted by a supportive friend and I wanted to help her post out with the best conversation and info I could provide. Other practical matters came up too, like setting up my social media schedule and content for the last half of November. I’m on track to get that done for Friday and keep it from interfering with my upcoming weekend. What do you think? I really wanted to open up the story with an epigraph to set the tone and allude to the fact that it is a tribute to the works of RE Howard and HP Lovecraft. Initially, I was trying to do the epigraph with two actual quotes, one from each author, but I couldn’t find a matched pair of excerpts that balanced and worked for this story. —Robert E. Howard, The Phoenix on the Sword. —H.P. Lovecraft, The Nameless City. 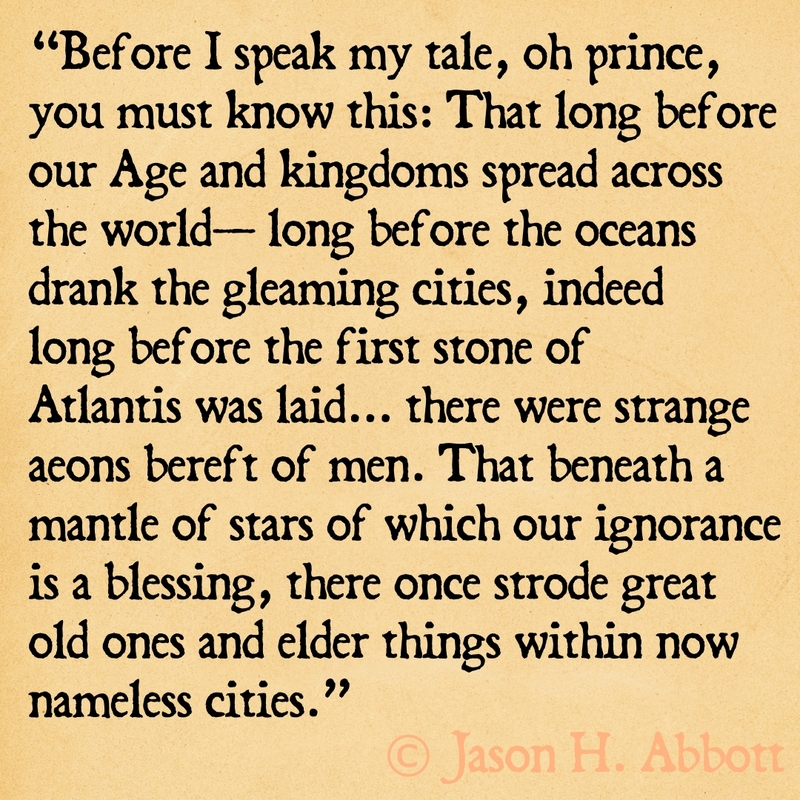 I’m rather happy that I was able to work “strange aeons” in as the hinge of my epigraph’s transition. Overall, I think it works as a mixture of the authors styles, although the tone leans slightly more towards Howard. As I wrap-up this week’s check-in, I want to remind you that tomorrow another installment of my new Flash Fiction Feature will be published. The first one last week was well received and fun to write, so I’m hopeful the next will be enjoyed as well. And coming up this Saturday is the start of my serialized superhero / magical girl novelette, Cretaceous Queen! I’ll be posting a new thrilling and cliff-hanging chapter of the story every Saturday morning, from November 18th until its conclusion on December 16th. I’ve gotten tons of positive feedback on Cretaceous Queen from my critique partners who have all thoroughly enjoyed it, so I hope that it turns out to be a real Science-Fantasy-Superhero treat for all of you as well!